After talking about it for a few years, I am finally able to start working on an open textbook for introduction to philosophy courses. There are a few of us working on it already, and we’re going to need all the help we can get…so this post is to introduce the project and talk about how others can get involved. First, it is free of cost to students. There is no price tag. This comes with another implication: we are doing this for free ourselves. There is no publisher who is paying us to create the textbook, and there are no “royalties.” But frankly, I can’t imagine ever making much off of a textbook anyway (how many new textbooks are there a year, and how many actually make money? I don’t know but I am skeptical of it being terribly lucrative in philosophy). 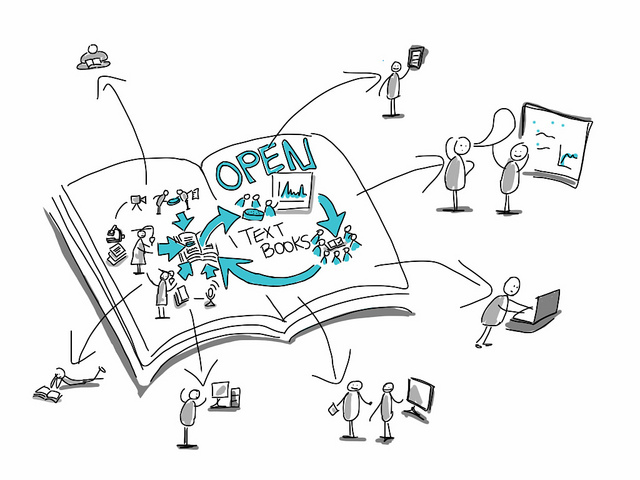 Second, open textbooks have an “open license” that allows others to reuse, revise, remix it with other things and release new versions publicly for others to use, revise, etc. The most common open licenses for educational resources like this are Creative Commons licenses, which come in several versions. See this CC page for a general discussion of the licenses and different license types; the University of British Columbia Creative Commons Guide has further information, including a comparison chart. The license we will be using for this textbook is the most permissible of the CC licenses that require attribution of the original content creators: CC BY, which lets content be used and revised by anyone for any purpose as long as the original creators are attributed. I can’t speak for others, but I myself have two main motivations, having to do with the two characteristics of open textbooks given above. Textbooks are expensive, and getting more so as time goes by. There is a good deal of research on open textbooks that explains the costs to students and how this affects them not just financially but pedagogically (e.g., when they go without textbooks because they are too expensive, or choose what courses to take based on textbook costs). I am co-author on an article whose literature review details some of this literature; I’ll try to remember to link to it here when it comes out (it’s in press right now). Or you can check out this 2016 research review on open textbooks by John Hilton (open access), though it doesn’t have information on costs. Only want to use Chapters 3 and 8? Great–delete the rest. Want to add in some of your own interpretations, or change what you think might be misleading, or add in a graphic you have created that helps illustrate an idea? Excellent–go ahead and change what’s there. Can’t understand why the textbook excerpted Mill’s On Liberty in a way that leaves out that crucial part? Put it in! Dislike the example used to illustrate a point because it only speaks to a limited audience of students and may not make any sense to others? Change it! Basically what an open textbook does is provide a starting point that you can adjust if needed…or not. You can use it as is, or you can make it fit your course or context better. I want to be involved in a project that provides this starting point for myself and others. For some, creating educational resources that are used by others can be considered for merit, tenure and promotion. That is going to depend on your college or university context. We are working with an organization called The Rebus Foundation, a Canadian non-profit that is made up of wonderful people who are doing great things with digital publishing and open textbooks. We are part of several open textbook projects that are creating new models for publishing open textbooks, through connecting people into a community to collaborate on shared projects. 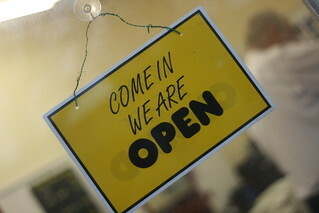 The Rebus open textbook projects are all being discussed on the Rebus Community Forum. There you can see and contribute to multiple textbook projects. Each is going to need help in the form of reviewing and copyediting as well as writing, so even if you just want to contribute a little without writing anything, that’s possible too. All help is appreciated. This Open Textbook “Introduction to Philosophy” should be, firstly, an accessible introduction to philosophy, suitable for college or university students taking a philosophy class for the first time. As an Open Textbook, this Introduction should be considered the starting point: a reasonably complete (eventually), and relatively accessible “map” of the important intellectual traditions of philosophy. But it should also be considered a framework upon which further (open) explorations could easily be built, further sections or additional materials added, by a professor for a particular class, by students as part of course work, or by future contributors (or current contributors) to the project itself. Note that there is a table of contents on that document; we are not saying nothing else could be there. That is what we have come up with at the moment. As new people are added to the project, new sections might be created. Here is a list of tasks for the book. I will be the overall editor, but each section of the book (e.g., ethics, social and political, metaphysics, philosophy of mind) will have a section editor who is responsible for that section. That means helping to find people to write subsections, arranging for others to review/comment on what has been written, ensuring those texts are copyedited (by themselves or by volunteers), etc. Here is a post describing what we are envisioning for section editors. So those are the two sections we’re making a push on at the moment, but I would also love to hear if anyone else would like to volunteer as a section editor. Peruse the conversations we’ve had so far on this textbook if you want, and add your thoughts. It’s a long thread, but you can skim it! Introduce yourself and what you’re interested in about this project. Posted in Open Access, open ed, OER and tagged open textbooks, Philosophy open textbook on April 15, 2017 by Christina Hendricks. I am working on a literature review for an article I and a couple of other people are writing about a survey about open textbooks in a course at UBC, and as part of that effort I created a table of some of the research literature on open textbooks. I thought it might be useful to others. This table is based on the “COUP” framework explained by the Open Education Group (with whom I have an OER Research Fellowship at the moment): Cost, Outcomes, Use, and Perceptions. See here for an explanation of each element of this framework as it relates to research on open textbooks and other Open Educational Resources. The Open Ed Group has a great list of literature using this framework, here: The Review Project. What I’m trying to do with this post is present at least some of that literature in way that clearly shows which articles connect to which aspects of the COUP framework. The Review Project, though, is updated more often! I also only included studies that focused on open textbooks, specifically. There are other studies that talk about other OER in the Open Education Group’s Review Project. Oh, and unfortunately the table doesn’t work on a mobile phone…I tried using a table plugin but it was messing up the format, and the table below is copied and pasted from a word processing doc, which doesn’t work on mobile. Boo. Here is a MS Word version, though, that you could download and edit for your own purposes if you want! There are probably other studies about open textbooks that I’m missing at the moment. Please add them in the comments! Posted in Open Access, open ed, OER and tagged open textbooks on September 11, 2016 by Christina Hendricks.